Here at Quay I.T Computers, we have a very impressive stock of ink cartridges. We try to keep all of the most popular cartridges to date, and keep the popular obscure cartridges. 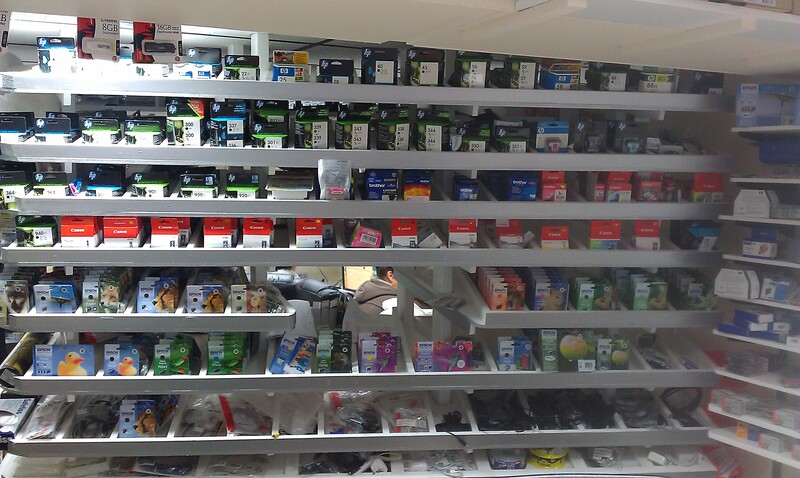 We stock Epson, HP, Canon, Brother, Lexmark, Samsung, Kodak, Oki and now keeping some Dell cartridges. We are always checking prices locally of the big retailers, and online, and we are proud to say we are very competitive with everyone’s prices. We always try and offer the best value for money, IE an XL Cartridge, Multi Pack Or Compatible Cartridge. In the past we have had very bad experiences with compatible and refill ink cartridges. So much so, we never offer refill inks. We also stopped selling compatible cartridges a while ago before we found Jet Tec. Jet Tec are produced in England, although not as cheap as other compatibles, they still offer you a big saving compared to Genuine cartridges but are also very reliable. We also keep a lot of laser toner cartridges in stock. Anything we don’t have in stock, we can order in for the next day, We offer genuine toner’s, and compatibles.